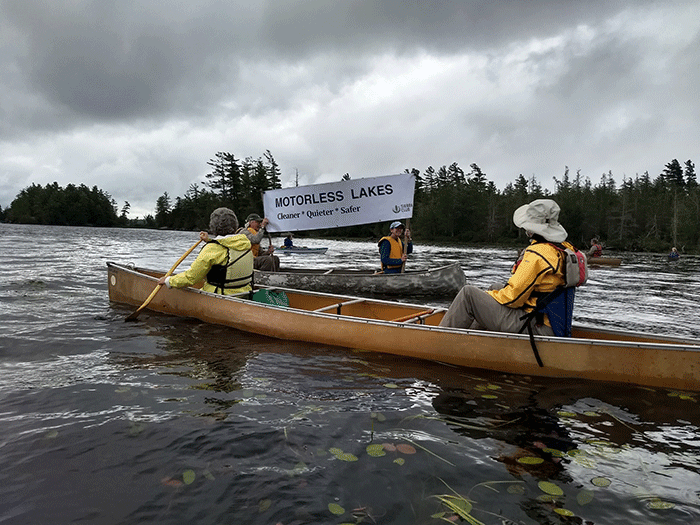 Protect the Adirondacks held the Canoe-In for a Motorless Weller Pond to demonstrate for state management of Weller Pond and Little Weller Pond as new motorless destinations. 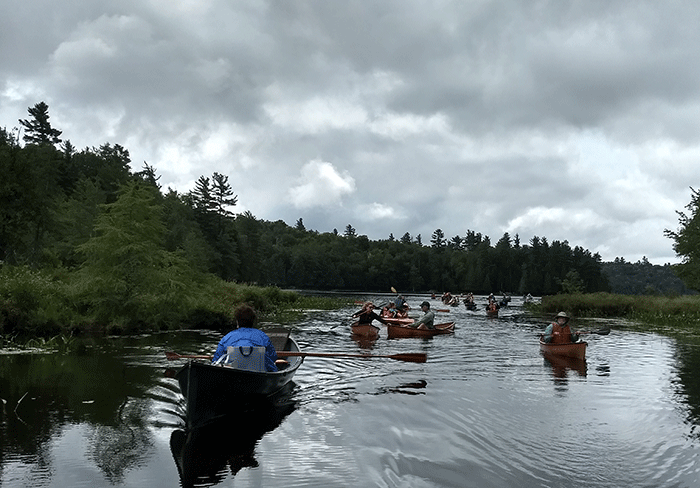 These ponds are surrounded by Forest Preserve and could easily be managed as quiet waters, a respite off of the heavily motorized Saranac Lakes Chain. 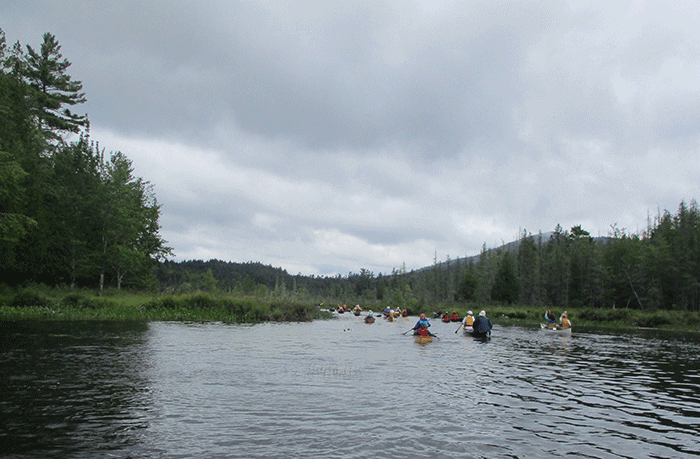 Weller Pond and Little Weller Pond should be a quiet waters area, made off-limits to motorized watercraft and only accessible by non-motorized vessels. 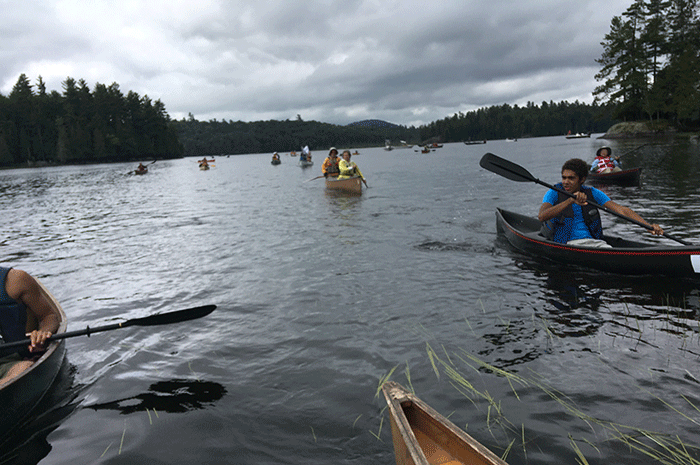 These ponds should be managed by state agencies as a quiet and beautiful refuge and respite among the heavily motorized and extremely popular Saranac Lakes Chain. 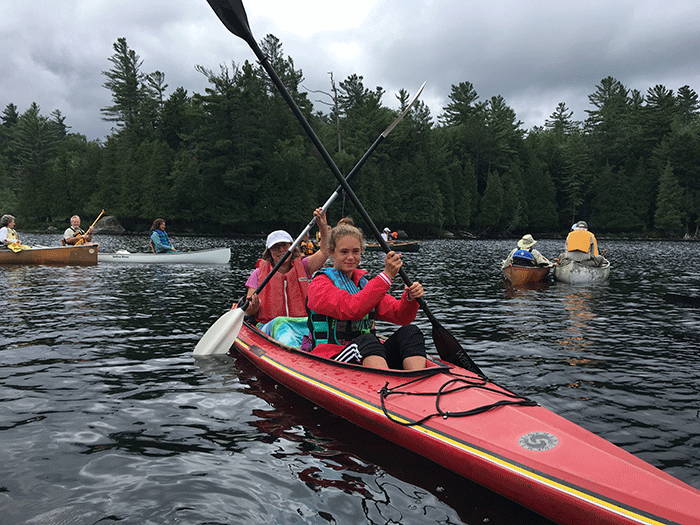 There are many reasons why the Weller Ponds should be a new motorless area. 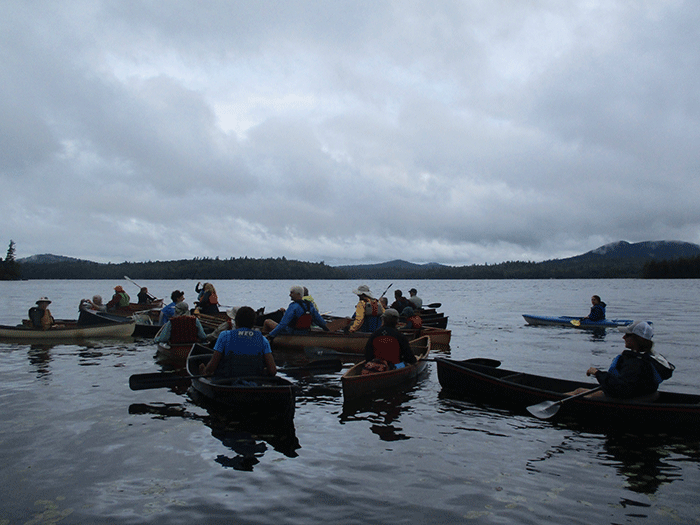 Click here to read about why Weller Pond should be managed as a motorless area. 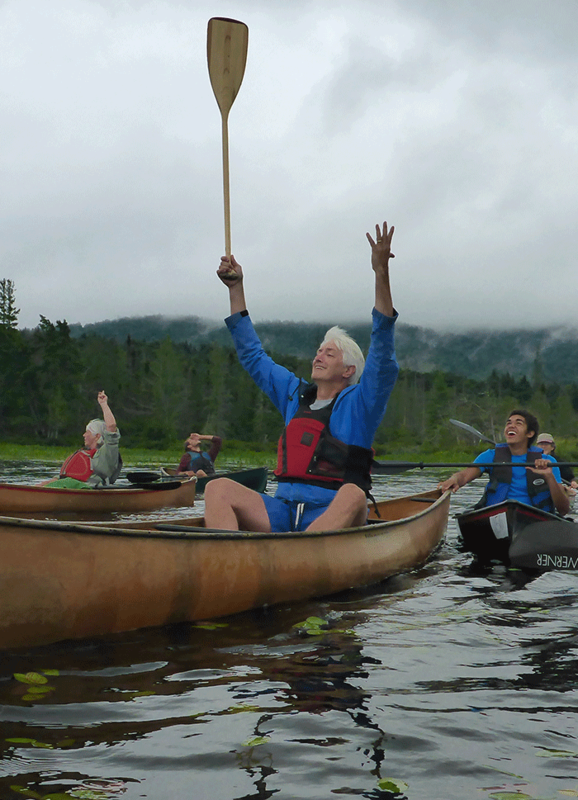 Click here to read a news report about the Canoe-In. 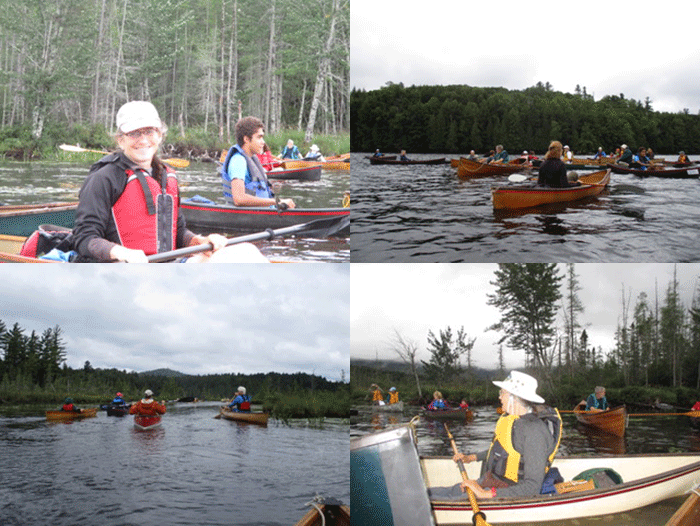 The pictures below show scenes from a drizzly day on the waters on Middle Saranac Lake and Weller Pond during the canoe-in.